Xiaomi just dived straight into the international convention scene with its first ever global stage handset announcement. This, of course, is the eagerly-anticipated Xiaomi Mi 5. The device is a flagship offer through and through, definitely worthy of rubbing shoulders with the likes of the LG G5 or the Samsung Galaxy S7, so also taking into account the growing international interest towards the brand, we can expect global announcements like this one to become a trend. The Xiaomi Mi 5 comes with a trendy curved design on the back much like the Xiaomi Mi Note. 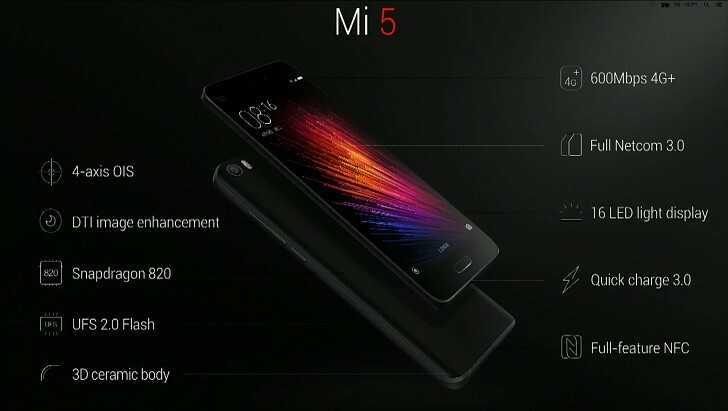 In fact, the exterior of the Mi5 is heavily inspired by the Mi Note, which is very popular among fans. The Xiaomi Mi 5 is equipped with a 5.15-inch IPS display with a 1080p resolution, ultra-bright 16-LED backlighting (as opposed to 12LEDs), and almost no side bezels for an exquisite look. Sunlight Display technology is upgraded as well and promises contrast adjustment on a per-pixel level. Below the screen there is a physical home button, which is also a fingerprint reader. This is actually a first for Xiaomi. The elegant body of the Mi 5 measures exactly 69.20 x 144.55 x 7.25mm, so it's just a tad thicker than the Mi Note. It is also surprisingly light, tipping the scale at 129g with a 3D glass back and including the fairly big 3000 mAh battery. While the regular version will have a glass back, there will also be a higher-end ceramic back option called Xiaomi Mi5 Pro. But, according to VP Hugo Barra, who led the presentation himself, the main treat hides under the hood of the Mi 5. A recurring theme during the presentation was speed. The phone is allegedly fast on a whole different level. In part, this is thanks to Qualcomm's top of the line Snapdragon 820 SoC. This is backed up by 3GB or 4GB of fast LPDDR4 RAM for a snappy Android experience. Interestingly enough, the entry level 32GB one has a clock speed of 1.8 GHz and 3GB of RAM, the 64GB has the same amount of memory and a processor speed of 2.15GHz. The Pro simply adds another gig of RAM. Storage has also received a major upgrade with a focus on speed. Instead of using eMMC, the Xiaomi Mi 5 can be picked up with up to 128GB of UFS 2.0 memory, which promises significant increases of 80% and more over eMMC 5.0 (think what Samsung did with the Galaxy S6). The Snapdragon 820 chip also supports Quick Charge 3.0. There is also a significant increase in network connectivity. Thanks to technologies like 3x Carrier aggregation, the onboard 4G+ or 4G Advanced is capable of theoretical Cat.12 LTE speeds of up to 600 Mbps. VoLTE is also included. NFC is now also smarter with card virtualization and write mode. The camera setup on the Xiaomi Mi5 is also very impressive at 16MP with an aperture of f/2.0 and 4-axis optical image stabilization, which is a brand new technology as well. 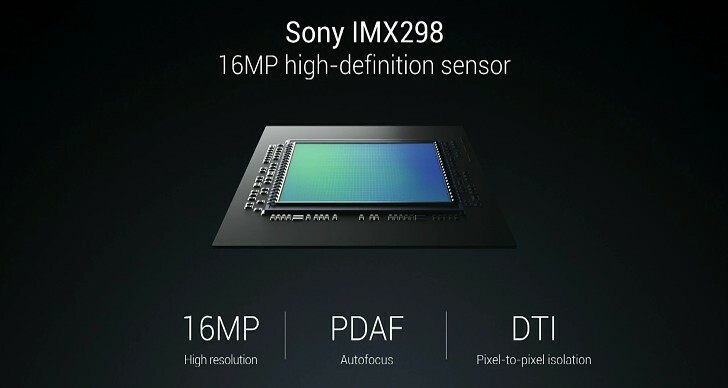 The sensor itself is the Sony IMX 298, which comes with phase detection auto focus and deep trench isolation technology. It is a worthy shooter for a 2016 flagship, and interestingly enough, Xiaomi has managed to fully tuck it inside the body, so there is no camera bump. Naturally, in combination with the powerful Snapdragon 820 chip, it can record 4K video as well. 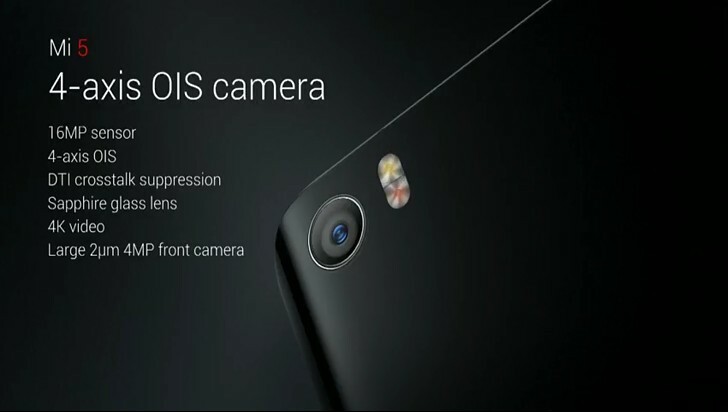 On the front, we have a 4MP UltraPixel camera - lifted from the Mi Note. On the software side, the Xiaomi Mi 5 is running on the company's famous and quite popular MIUI 7 OS. It is still based on Android, but it is now version 6.0 Marshmallow. Mi 5 design is an upgrade from its Xiaomi Mi Note released more than 1 year back. Can I say Samsung Note 5 copy Mi Note? I see Note5. Copy copy copy.